Clint finds love to last a lifetime in Beth, who is recovering from kidney failure. When she blows off their date, Clint suspects she's been kidnapped, and without routine dialysis, Beth won't survive. While Clint tries to find her, the CIA investigates a computer system breach. Someone launched an unauthorized mission. Was it terrorists? Or someone more sinister? Vengeful secrets And deadly twisted mysteries. Heart-stopping killer thrillers that fans of mysteries will be hooked on, by one of the best new authors in crime fiction. Ruthless killers...grisly deaths...escalating stakes... A clandestine late night meeting in Kentucky, a murder in a seedy St. Paul motel, a mysterious investigator operating in the shadows, and dueling political masterminds all collide to provide Mac McRyan with the ultimate test in Electing To Murder. Fatally bound by one mystery, with deadly results. A brilliant, methodical, and vicious killer is on a mission leaving a trail of bodies in this suspenseful and nerve-fraying mystery with an ingenious plot. Fatally bound by one killer, with deadly intentions. Tainted water. Dead bodies. Blood silence. A high-powered lawyer and his beautiful client are brutally slaughtered in a lake house. In a tale of money and blood, that hits a little too close to home, Mac is forced to confront his tumultuous past. Blood Silence is a web of unsettling twists, startling turns, and unforeseen redemption, with each chapter adding a layer of intrigue. This is a good series...the McRyan Character is no Lucas Davenport or Virgil Flowers by Sanford but close enough. 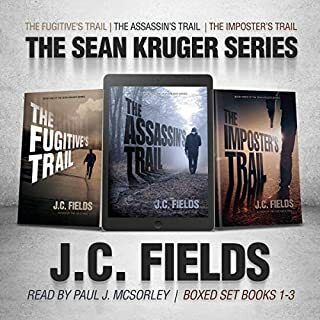 The story line in these books can be a bit over the top and unbelievable, but its fiction and plausible in that sense....when compared to Sanford's writing is simply not in that league for me...but the books were entertaining and that is why I listen to audio books. I absolutely loved these books! All three are fantastic! The first is a political thriller, which I usually don't enjoy, but it was fabulous. Election conspiracies with tons of twists and turns! The second is more of a "I know what you did last summer" mystery, also very good. Lastly, is a wonderful conspiracy murder mystery with a small political aspect and again with tons of twists and turns! The narrator does a fabulous job and is very engaging. I flew through these books, could not put it down! The characters were well developed and lovable. Cant wait to get more in the series! I received a free review copy of this book at my request in exchange for an honest review. A Mac McRyan box set? Yes, please! I had listened to one of the books in this box set but could not let this three book opportunity pass. The listen was exceptional! Heart pounding, no-that-did-not-just-happen, exceptional. Book four, Electing to Murder, was scary good. Scary as in could-that-even-happen-of-course-not-oh-wait, good. It involved a slew of bad people doing some really bad things and I could not wait for the bad guys to get caught. I had already listened to book five so I jumped to book six, Blood Silence. With that listen, we are introduced to Mac's first wife, Meredith. Gotta tell ya, I was not a fan. The relationship between Mac and Sally, his current love interest, is so solid that I was predisposed to not liking Meredith any way. Then she opened her mouth and the dislike was cemented. The mystery in book six involved the man Meredith cheated on Mac with. That backstory elevated the mystery which, in and of itself, was one heck of a rollercoaster ride. I was kept guessing until the very end. Johnny Peppers narrated all three books and he is perfection on a stick. I'm partial to female narrators but a good male narrator makes his male characters strong and capable while still voicing a rich female character. Respect. An expertly written labyrinth of twisted, unpredictable awesomeness! I pride myself on figuring out plot twists...but this set got me. TWICE. This novels are cunning, delightfully disturbing, and addictive, full of complex characters you love....or love to hate....and that changes, but you won't see it coming. I loved the main character's witty internal dialogue - . With a cast this big, it helped to know where to root myself. Truly couldn't put this book down once I started it. Three great full length books for those who love the intrigue and mystery. As always Johnny Peppers brings us a great performance of the works by Roger Stelljes. Very enjoyable set of stories. What more could you ask for, 3 full length very entertaining Mac McRyan mystery's in one box set. Even though the books are part of an ongoing series each can be listened to as a standalone. Fair warning - this series is addicting. Each one is well written and has a great storyline that keeps you guessing. While each story is different they are all have one thing in common, they pull you in immediately and never let go. Each is also packed full of mystery, intrigue and suspense. From serial killers to political intrigue to greed to betrayal and secrets there are plenty of unexpected twists and surprises that keep you on the edge of your seat and constantly guessing about what will happen next. Where does Mysteries, Thrillers and Killers: Crime Thriller Box Set rank among all the audiobooks you’ve listened to so far? At the top! Well written! What was one of the most memorable moments of Mysteries, Thrillers and Killers: Crime Thriller Box Set? When Mac gets ambushed by the young female reporter and she blindsides him and he loses his self-control. I am amazed at what the media will do to create a story. Excellent voice and inflexions. Knew the characters well to bring them to life. 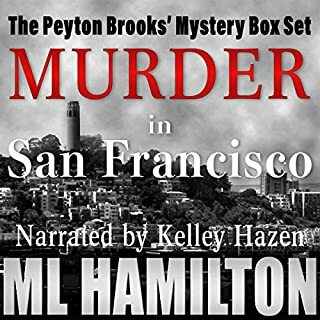 "I was given a free review copy of this audiobook at my request and have voluntarily left this review." 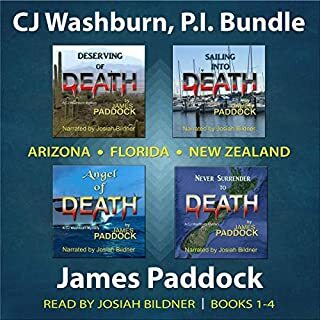 Great value for 3 entertaining mysteries! 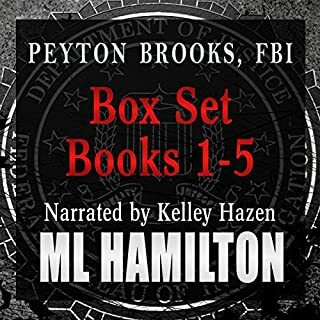 Three books, almost 40 hours of listening, entertaining mysteries, and a great narrator make this a box set a real bargain for one credit! 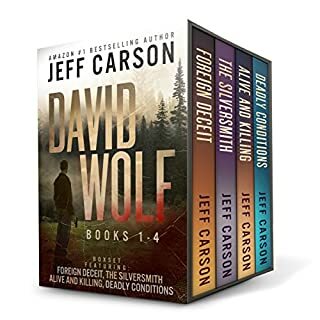 This starts at Book 4 in a series, but they are stand-alone mysteries, so I didn't feel like I was missing out on anything by starting in the middle of the series. Each book gives enough background on the characters that I knew exactly who they are and what was going on. I will likely go back to the beginning of the series, but just because I found the writing enjoyable and now I know they will be solid books. I won't go into the plot of each book, but all three are mysteries involving Mac McRyan doing the solving. Mac is a badass, and the criminals are all formidable. The killers are brutal, the stories somewhat graphic, and the mystery is good enough that I didn't know the ending too far out. I liked one book a little less than the others, but overall the stories were entertaining and sucked me in. The narrator is very good in a background kind of way. What I mean is that his performance didn't stand out as spectacular or spotlight stealing. I almost prefer those kind of steady, decent narrators, though. His narration allowed me to just slip into the book and lose myself. He wasn't distracting, didn't mispronounce anything, kept his voices consistent, and faded into the background, letting the story shine. I would absolutely seek out other book narrated by him. I received a free copy of this audiobook at my request and have voluntarily left my honest review. The free copy did not influence my review in any way. 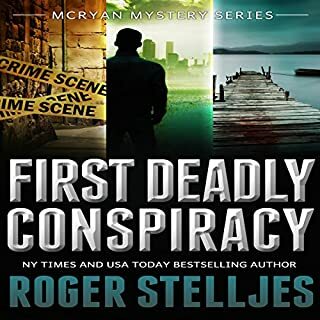 This series of books by Roger Stelljes and narrated by Jonny Peppers was entertaining to listen to. The characters were very well written and presented allowing the listener to visualize the story and plots. These were books 4 to 6 and I would entertain listening to the first 3. I liked the books in this set! Political intrigue, serial murders, and greed take center stage in this trio. 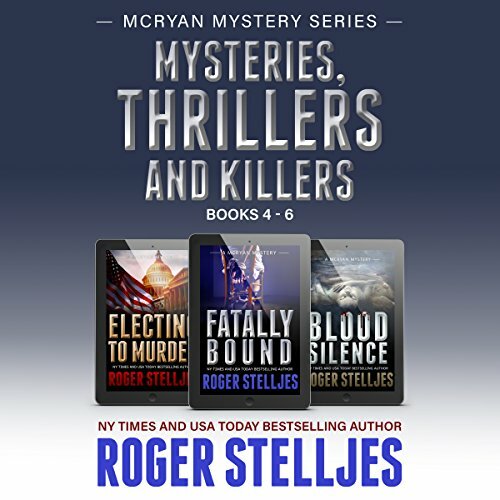 The McRyan Mystery Series is written well, with a depth of character that is threaded throughout each of the books. They hold your attention and are well worth your time! Although Johnny Peppers doesn't have distinctive character voices, he is easy to listen to. I did find it a little hard, however, to keep track of who was talking during the dialog portions of the book. Loved it I am gonna get more of this series, they are a good read.